The Mohawk name for this place is Tetiotenonshà:kton (A curved house). Whose traditional territory is St. Catharines on? I am a Settler born in St. Catharines whose parents settled here two years before my birth, and since the mid-1990s have done my best to learn about my responsibilities as a settler, and to follow the Two Row Wampum, a treaty illustrating the parallel paths of the Haudenosaunee and Europeans, “neither interfering in the path of the other”. I first learned that the Niagara area was originally populated by the Neutral Nation who were decimated in the wars between the Iroquois and Huron. Much later I learned their name as Attawandaron, the role of the incoming settling nations in these wars, and that the people were not decimated but many adopted by Haundenosaunee (Iroquois Confederacy or Six Nations) and Anishinaabe communities. I have heard members of both Haudenosaunee and Anishinaabe Nations state that St. Catharines is on their traditional territory. Within Haudenosaunee peoples, I have heard that the territory is more specifically Seneca. I will always learn more. Like all the pages on the website, I will update with information people provide to me. Here are some links. I choose to include only links from indigenous sources because their voices have been excluded from so much of what settlers have been taught in the past. Along Confluence Field Trip #2, in Centennial Gardens, there is a totem pole. Since totem poles are from Pacific Northwest Nations with no relation to First Nations of this area, I always wondered what it was doing there. It was commissioned for the creation of Centennial Gardens, which as the name suggests, was a Centennial Project of the City of St. Catharines. It was carved by Douglas Cranmer of Namgis First Nation, Alert Bay. Click here for more on the totem pole. For the past two years, Centennial Gardens and the totem pole have been a focus of the Sisters in Spirit Vigil organized by the Thorold Chapter of Native Women, honouring Murdered and Missing Aboriginal Women. 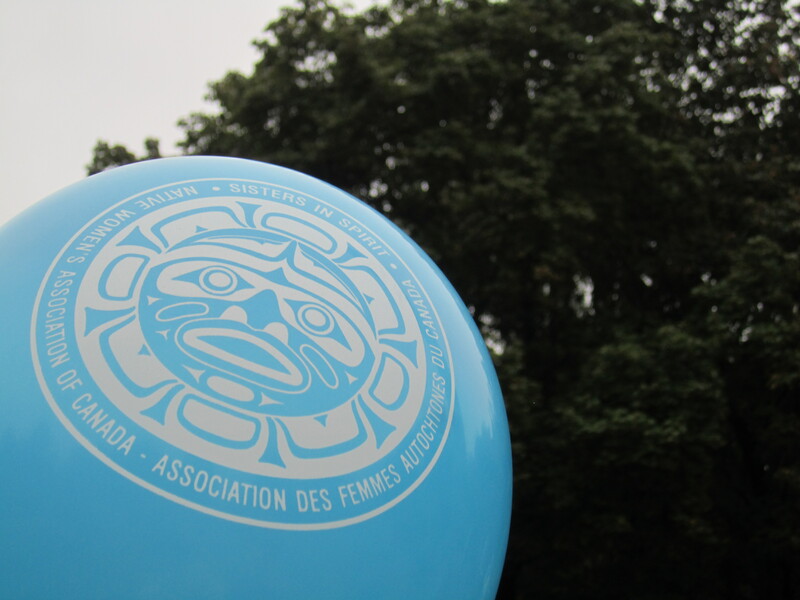 This year’s SISTERS IN SPIRIT WALK, takes place SATURDAY OCT 4TH, 4:00-7:00 pm. It follows a different route and does not gather at the totem pole. Meet at Market Square, St. Catharines for an opening with Jackie Labonte and walk to Positive Living on Queenston St.